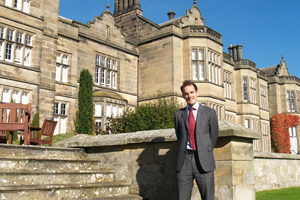 Matfen Hall has appointed Tim Hardie as business development manager to target the corporate events market. Hardie’s remit is to develop the Tyne Valley property’s business, focusing on conferences, corporate hospitality and corporate travel. Matfen Hall, operated by the Prima Hotel Group, offers 53 guest rooms, event space for 120 delegates, leisure and spa facilities, a two-AA-rosette restaurant and two golf courses. Hardie previously established leisure travel company Experience North Country. He said: "My aim is to work with conference organisers regionally, nationally and internationally to show the benefits that Matfen Hall and the North East offer as a destination."